I received the loveliest post this morning! 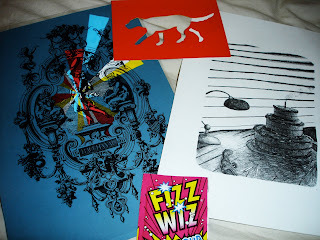 A parcel straight from the talented illustrator, Jamie Mills! Post that isn't a bill! That's a winner in my book. 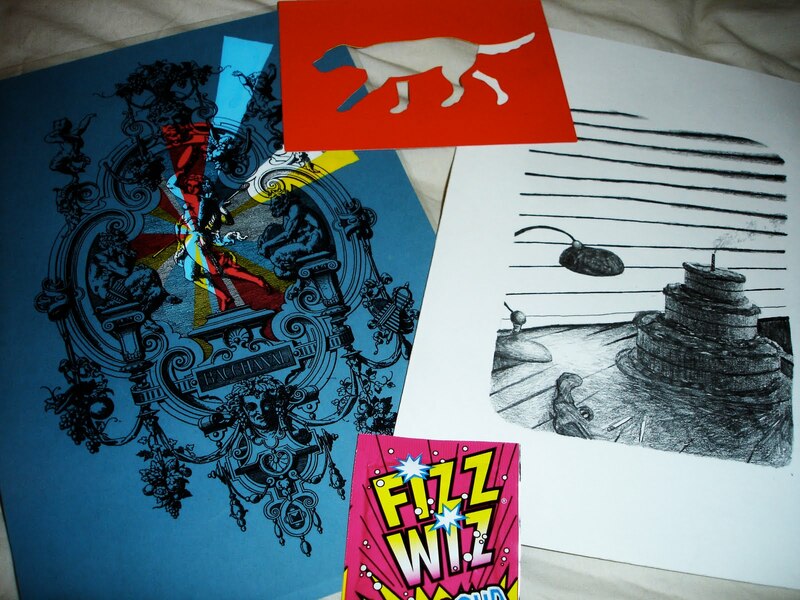 Thankyou so much for the original artwork and goodies, Jamie! I'm having the acetate print framed, and the popping candy is fizzing away as I type! If anyone else fancies commissioning a day, so contact Jamie via his blog (link above). ^__^ i love his drawings!